At first, the story of Costa Rica’s forests seems like a tragedy. In the 1940s, over 75% of the country was covered in indigenous woodland, mostly tropical rainforest. In the subsequent decades, however, rampant and unchecked logging ensued as the nation’s valuable forest resources were transformed into cash profits. By 1983 only 26% of the country retained forest cover, and the deforestation rate had risen to 50,000 hectares per year. At this point, something amazing started to happen. By 1989 the annual deforestation rate had dropped to 22,000 hectares per year. The figure dropped even lower to 4,000 hectares per year by 1994 and in 1998 the deforestation rate had dropped to zero. Today forest cover has increased to 52% (double 1983 levels) and the government has set the ambitious goal of further increasing this figure to 70% and achieving carbon neutrality by 2021. But how did Costa Rica achieve such an astonishing reversal of trends? And how is it that over this same timeframe Costa Rica has shown such impressive gains in social indicators like education level and poverty reduction? And is there a way that other countries around the world that are currently being devastated by deforestation, desertification and rampant biodiversity loss, can achieve similar results? The answer seems to lie in a combination of ethics, environmentalism and effective policymaking. The readiness of key decision makers in Costa Rica to think outside the box may be seen in their decision to disband the country’s standing army in 1948. At a recent presentation on 9 November 2011 at the United Nations University Institute of Advanced Studies in Yokohama, Japan, Costa Rica’s Ambassador to Japan, H.E. Mr. Álvaro Cedeño Molinari, described how at the time this was principally an ethical decision. Looking back, after 63 years without a military, such a seemingly unconventional decision has proven both brave and useful in channeling additional investment into the country’s social and environmental programs. This same forward-thinking set of ethics guided the country to amend its constitution in 1994 to enshrine the right of “every person […] to a healthy and ecologically balanced environment”. 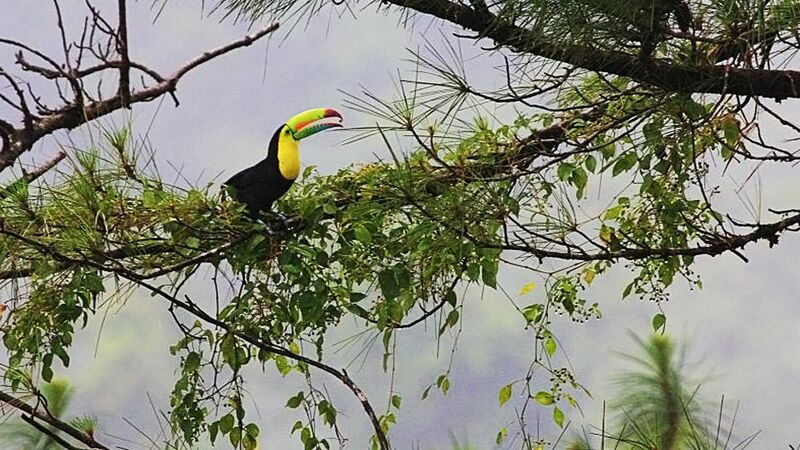 Costa Rica’s success in slowing and ultimately reversing the deforestation trend is due to recognition by policymakers of the value of the country’s ecosystems. Success can also be attributed to a decision to use payments for environmental services (PES) as a tool for poverty reduction, particularly in rural areas. At the core of Costa Rica’s PES program is an understanding that healthy ecosystems provide a wide range of services including carbon sequestration, water filtration and the provision of habitat for genetic resources that can potentially be used in pharmaceuticals and natural medicines. By providing financial incentives to landowners, the so-called Tragedy of the Commons — according to which free resources shared by all gradually degrade over time — can be averted. Arenal Observatory Lodge. Photo by RK & Tina. In 1969 the country passed its first forestry law regulating logging permits and creating Costa Rica’s Forestry Department. Despite good intentions, positive results from this policy did not begin to materialize for almost a decade. Further support came in 1984 with a loan for natural resource conservation from the United States Agency for International Development and in 1989 when the country’s foreign debt was renegotiated so that the money could be reinvested into environmental conservation. Then, in 1996, the National Forestry Fund was created, consolidating and institutionalizing financial incentives for environmental services. At the program’s outset, US$120 was paid for every hectare of forest conserved and to date US$230 million has been paid out to a wide range of entities, including rural and indigenous communities and individuals. In addition, the program has directly contributed to the creation of 18,000 jobs and indirectly supported an additional 30,000 jobs — substantial figures in a country of 4.5 million people. The program is financed from a variety of sources, including foreign loans and donations, forest credit certificates and revenues generated by a tax on the use of fossil fuels. A clear link can be drawn between the country’s investment in reforestation/afforestation and its economic well-being. With 50% of Costa Rica’s GDP linked to tourism — largely adventure tourism and ecotourism — a commitment to the environment has also equaled good business. Setting the goal of carbon neutrality by 2021, the Pax Natura (peace with nature) Initiative announced by Costa Rica’s President in 2007 has established a further ethical basis for environmental commitment. Among other things, the Initiative’s website provides a carbon calculator for determining CO2 emissions, an issue of particular importance considering the country’s heavy focus on attracting ecotourists from abroad. The Initiative’s carbon certification program recently received gold standard validation in accordance with the international CCB (Climate, Community and Biodiversity) standards. While efforts to overcome the recent global financial and banking crisis have seemed to underline the preeminence of economic concerns in policymaking, Costa Rica’s grand ethical narrative seems to have found resonance with both the public and private sector. Companies like one of the country’s leading beer manufacturers, Florida Bebidas, have taken on the mantle of corporate social responsibility and set self-imposed objectives of water neutrality and zero waste production. While such targets may seem fantastical in today’s world, a cycle of environmentalism seems to have taken hold in Costa Rica, and promises to be further bolstered by the company’s recent announcement that it had succeeded in cutting the waste generated by its manufacturing, storage and administrative facilities by 99.4%. Global interconnectedness and interdependency, however, means that Costa Rica’s successes are also a success for the whole world. 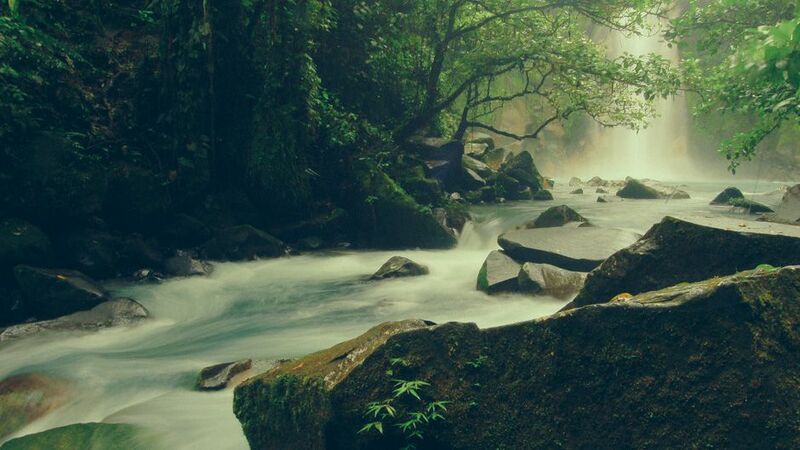 The biodiversity contained in rainforests like Costa Rica’s continues to yield new discoveries of tremendous importance for pharmaceutical companies. In addition, while the ecotourism opportunities that the country offers may translate simply into a relaxing vacation for some, they have the potential to plant the seeds of a newfound environmental commitment within the minds of other visitors. It’s difficult to predict which decisions taken by Costa Rica’s political and business leaders would be transferable to other countries. Certainly not every country will be able to depend so heavily on international ecotourism. But the underlying recognition that a healthy economy cannot exist over the long-term without a healthy environment seems to have found resonance in Costa Rica and laid the foundations for decades of environmentally conscious decision-making within both the public and private sector. Perhaps one of Costa Rica’s greatest contributions to the world can be its simple demonstration that it is possible for a nation to establish a system of environmental ethics shared by the public and private sector that carries benefits for the entire country. While it may be heartening to read such positive environmental news for a change, it’s important to point out that just like other decision-makers around the world, even Costa Rica’s leaders are faced with sobering challenges and difficult decisions in the coming years. For one thing, although Costa Rica has celebrated a tremendous achievement in reversing deforestation trends, reports indicate that the nation’s bio-capacity has continued to decrease. The underlying causes remain unclear, but one rather sobering possible explanation is that the negative impacts of large-scale ecosystem change continue on for decades even after significant steps have been taken to slow and reverse such processes. Likewise, as Costa Rica’s per capita GDP increases, so too does its energy demands, with the growing transportation sector currently dependent on imported fossil fuels. Although 99.2% of its current energy needs are met from renewable sources, the opportunities for additional renewable energy production are limited and may carry negative side effects. Will the country tap into the wealth of geothermal energy available in its volcanoes although these are now all contained within national parks? Or will it accept the environmental costs of constructing additional hydroelectric plants on its river systems? Or will new innovations offer more attractive and environmentally-friendly alternatives? Ethics and environmentalism: Costa Rica’s lesson by Robert Blasiak is licensed under a Creative Commons Attribution-NoDerivs 3.0 Unported License. good. Now we have to think beyond figures. Who are winnig and who loss. Financial incentives for forest plantations? What can a farmer do after conserv. contract get over? Pax Natura Initiative go without consultations to indigenous people in PH Diquis? Great article! Nice to have some good news for a change.